With 63 percent of American consumers saying that Black Friday doesn’t offer the best deals of the year, the personal finance website WalletHub conducted an in-depth analysis of 2015’s Best & Worst Items to Buy on Black Friday. 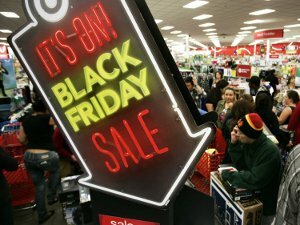 To find out whether shoppers are really getting the best deals, the WalletHub research team compared the “Pre-Black Friday Price” and the “Black Friday Price” of a broad selection of items and isolated the offers that are truly worth the hassle of participating in America’s biggest shopping craze of the year. 68% of items will have a significant Black Friday discount (10%+), and it is thus worth waiting to purchase them. 14% of items will have Black Friday prices similar to what they currently sell for. 17% of items will be more expensive on Black Friday than they currently are on Amazon.com. “Books, Movies & Music” will be the most-discounted purchase category on Black Friday, providing savings of 28% relative to current prices, whereas “Jewelry” will only be about 4% cheaper on Black Friday. This entry was posted in Business on November 20, 2015 by admin.